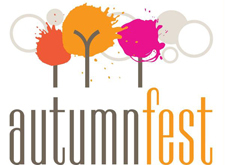 The City of Avondale Estates and the Downtown Development Authority are excited to announce AutumnFest's return this Saturday, October 1, from 10 a.m. to 5 p.m. on Franklin Street in downtown Avondale Estates. Enjoy an artist market, live music, free kids zone, and food and drinks from local City businesses. Bring your picnic blanket and chairs and stay for the day! Visit their website for more information.